Another nuclear power plant in Rajasthan chief – Napla city (Banswara district construction 700 * 2-1400 in. Wa.). In Rajasthan, the first major electricity plant based on natural Gans – Ramgarh town (in Jaslmer district). Bbul cherry, rice bran, sesame and mustard gas Tudi, etc. produced by the biomass is created. Rajasthan lignite coal-based electricity Syntr- Girl major cities (250 in Barmer district. Wa. 2 Unit 125) is. Super Thermal Pavr – their capacity is more than 1,000. 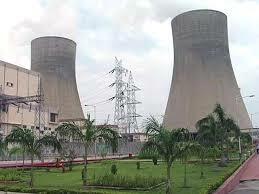 Super Critical Thermal Power Plant in Rajasthan Nirmanadin is currently four. Rajasthan’s solar policy was announced on April 19, 2011. Rajasthan, India became the first state to announce solar policy. The first solar city in Rajasthan Balesar fridge (Jodpurjile) was founded in. The first solar power plant in Rajasthan Mthania city (Jodpurjile) was established in. First solar-powered boat, Lake Pichola in Rajasthan (Udaipur district) were fired at. First Solar, based in Rajasthan Rawatbhatta Durdrshn relay center is located in the city of Chittorgarh. 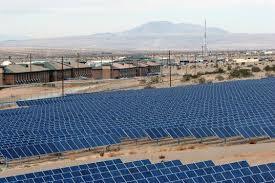 Solar Energy Park in Rajasthan – Brala city (Jodhpur district) is located in. 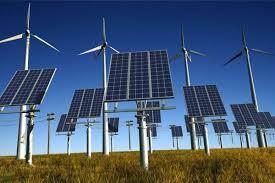 In the solar energy sector undertaking Rajasthan (SEEZ) – Jaisalmer, Barmer, Jodhpur districts have been declared. Rajasthan government on July 18, 2012 wind power policy was announced. In the public sector the leading wind energy plant – 1. Immortal Sea city, is located in Jaisalmer district. Rajasthan is the first major wind power plant, was planted in 1999. Deogarh town, was planted in Pratapgarh. Phalodi town, Jodhpur district imposed. Its installation – January 2, 2000 was on. Licensing of electricity in Rajasthan Kmpaniyon. Unpe regulation and control of electric Kmpaniyon. Established – 1973 in collaboration with Knadh. Its headquarters – Rawatbhatta, located in Chittorgarh district. Uranium-it. Nuclear energy is based on. Its capacity – 1350 MW Bati has a total of 6 units. In India Tarapur (Maharashtra) is the second largest nuclear power plant. Its headquarters – Surtgdh, located in Ganganagar district. Rajasthan is the first super thermalPower Plant. Rajasthan is the largest of the Power Plant. Its capacity – 1500. Wa. A total of 6 units (250’6 – 1500) is Bati. Note: This modern Vicastirth of Rajasthan says. Its headquarters – located in Kota district. Rajasthan is the second Super Thermal Power Plant. Rajasthan is the second largest electricity plant.